We take great care & enjoyment in sourcing beautiful gifts, decorations, jewellery & crystals for our shop in Dunster & online store. We hope you have many years of joy out of your purchases whether it is a gift for yourself or a treat for someone special. The following will give you further information on specific product lines featured on our website. Care guidelines for these ranges are recommended in their related product descriptions, so you may make the most of looking after & enjoying your purchases. The wonderful range of Fiddlehead Fairy Garden Houses & Accessories are USA based & made from Polystone, designed for indoor & outdoor use to create an enchanted fairy garden. 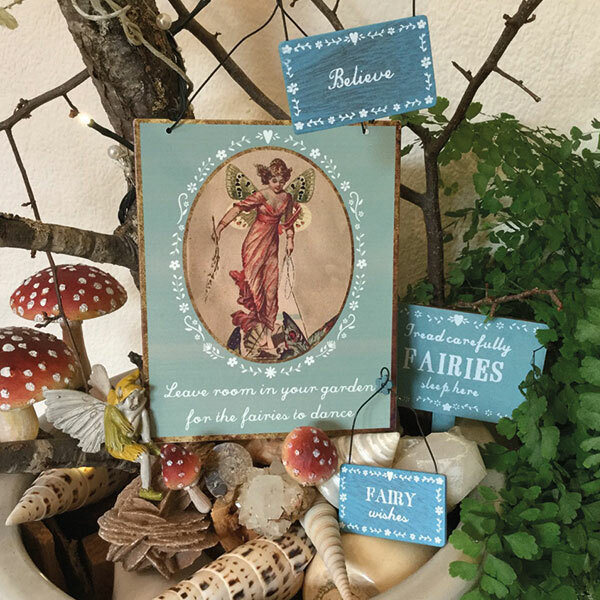 These beautiful handmade depictions of the Fae are designed in the UK & hand made by house wives in South East Asia, working from home as they are unable to go out to work. Their intricate design & pretty embellishments gives each one it’s own magical character. Due to the nature of how they are made there may be some colour & decorative detail variations, including facial features & length of hair, compared to the product image on our website. Measurements are approximate. NO TWO ARE THE SAME. Please note that the Fab Fairy range is NOT suitable for children under the age of 3 & are NOT TOYS due to their delicate nature. These beautiful Tassie Design, Fairy Family are made by hand in Thailand. The company that produces them, Tassie Design, is an ethically run business, putting a proportion of profits back into the local communities where the fairies are made. In addition they pay well above average wages & encourage home working. Typically the workforce is made up of women who would otherwise be left at home when their husbands go out to find work. 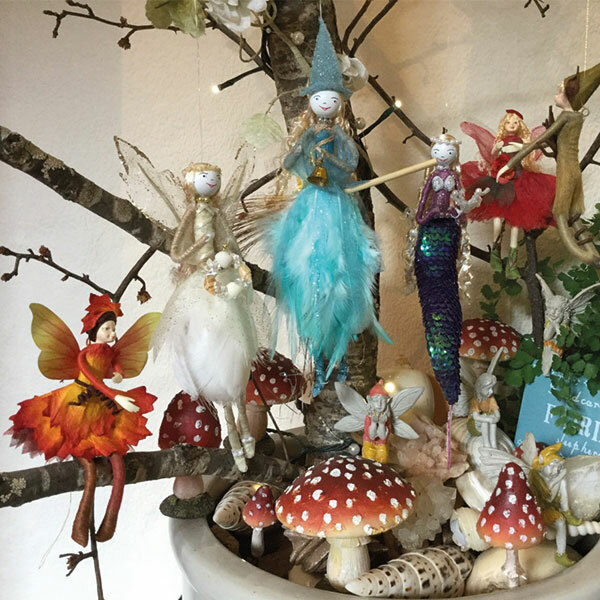 The finish of these fairy figurines is wonderful as each one is hand dressed & painted, using a variety of materials like satins, silks, nylon, beads & glitter. Please note that these are collectables, NOT TOYS & will not withstand heavy play. Our other featured magical products vary in their suitability for outdoor use. Items suitable for outdoors will be indicated in their product description, unless stated otherwise products are for indoor use. Please be aware that some of our gift lines are hand made & there may well be colour variations & slight imperfections from the picture on the website to the item you receive. We aim to ensure a high standard of quality but cannot guarantee you will receive the exact likeness to that of the product taken featured on our website.